WINONA - Rose M. Sidwell, age 91 was called home at 5:10 p.m. Saturday, April 6, 2019 at the Blossom Nursing and Rehabilitation Center after a brief illness. She was born January 27, 1928 in Kent the daughter of the late Leonard and Cora (Luthy) Walters. She was the eldest and only daughter of four children. Rose was a 1945 graduate of Goshen Township High School. Rose was a member of the Winona and Salem Friends Meeting and attended Winona Evangelical Friends Church faithfully. Rose was very active in her community as a member of Gideons and the Winona Historical Society. She also volunteered at the Winona Friends food pantry. For many years, she and Harold worked on the Winona Flax Scutching Committee making and selling apple butter for the festival. Rose was active with the Friends Disaster Service and the Winona Fire Department Auxiliary. She also enjoyed playing cards. 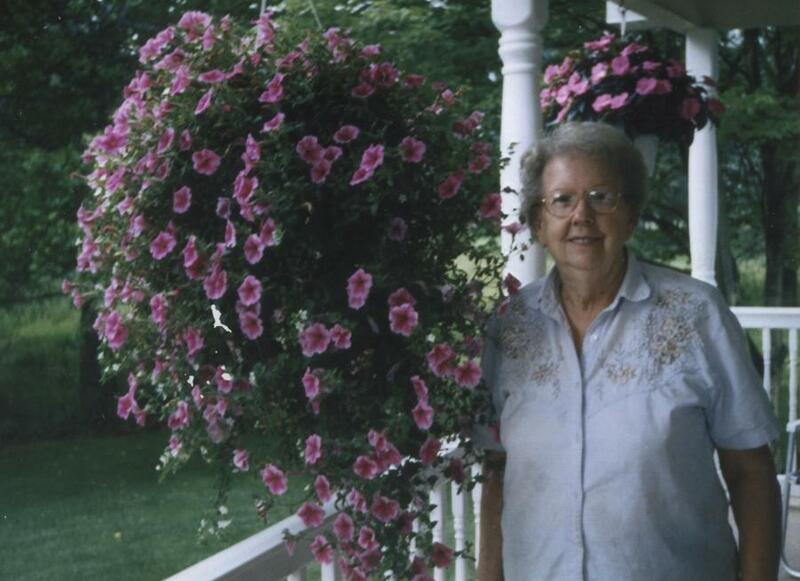 In her life, Rose held many roles – wife, mother, grandmother, aunt, friend, but she also worked at Farmer’s National Bank, was a real estate agent for Hofmeister Realty, and had worked part time at the Winona Post Office. She will be missed by a great many people. On April 14, 1950, Rose married Harold O. Sidwell of Winona and shared nearly fifty-six years of marriage before Harold’s passing on March 29, 2006. Together they raised six children and were co-owners of Winona Frozen Foods. Rose is survived by five children: four sons, Dean (Evelyn) Sidwell, Dennis (Joann) Sidwell, and Paul (Jane) Sidwell, all of Winona, and Philip (Karen) Sidwell of Damascus; one daughter, Linda (Dave) DeRienzo of Salem; six grandchildren, Jeff (Cindy) DeRienzo, Jennifer (David) Schaeffer, Jason Sidwell, Elizabeth (Mitch) Lewis, Sara (Levi) Stryffeler, and Ron Sidwell; and seven great-grandchildren. She is also survived by two brothers: Neil Walters of Columbiana and Gerald Walters of Hot Springs, Arkansas. A son, Ron Sidwell and a brother, Don Walters also preceded her in death. Services will be held at 11:00 a.m. Tuesday, April 9, 2019 at the Stark Memorial Funeral Home. Calling hours will be held Tuesday from 10 to 11:00 a.m. at the funeral home. Burial will be at the Winona Friends Cemetery. Memorial contributions may be made to the Winona Historical Society, P. O. Box 85, Winona, Ohio 44493.